All transport is running normally in Nepal, and fuel is now freely available. Due to last year's earthquakes, some of the major sights in Kathmandu are still under repair, but there is still plenty to see. 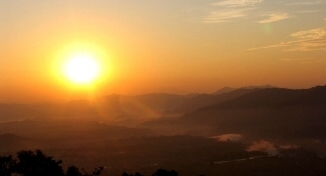 Pokhara was unaffected by the earthquakes and is as beautiful as ever. 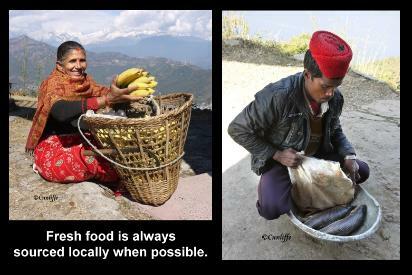 Welcome back to Nepal! Welcome to Peace Dragon Lodge & Restaurant, situated high on a hilltop overlooking the magnificent Phewa Lake and the Annapurna range of mountains, with the Fish Tail (Machhapuchre) standing proudly in their midst. 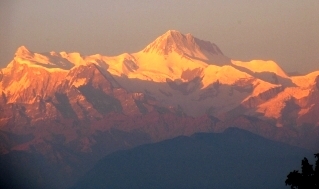 From here you can see three of Nepal's 8,000+ metre peaks, Daulaghiri, Annapurna I and Manaslu. This has to be one of the most magnificent views in Nepal and is only four minutes' walk away from the World Peace Pagoda, which is a taxi or bus ride from town, or you can hike up, combining this with a boat ride across the lake if you like. Expect to pay 800 nrs for a one way taxi ride, which will bring you to the World Peace Pagoda Car Park. 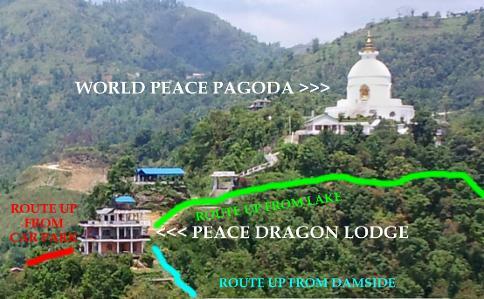 From there it is 7 minute walk to Peace Dragon Lodge - head for the Peace Pagoda, but instead of going up the second set of steps, walk straight ahead. Our staff can always meet you at the parking area to help carry your bags, if you or your driver give us a ring. Buses only run at certain times of the day and are very cheap. If you need current bus times, please let us know. The Lodge is in the joint ownership of Dibya Kumar Baral and Juliette Cunliffe so, with Nepali and Western hosts, guests enjoy the best of both worlds, authenticity coupled with those extra little touches that matter so much when travelling. 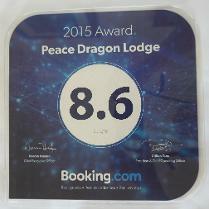 Peace Dragon Lodge has a page on FACEBOOK, with new photos of views and activities appearing most days of the week. So if you want to keep constantly up-to-date with us, please take a look at our site and if you 'Like' it or 'Share' it, that's all the better! 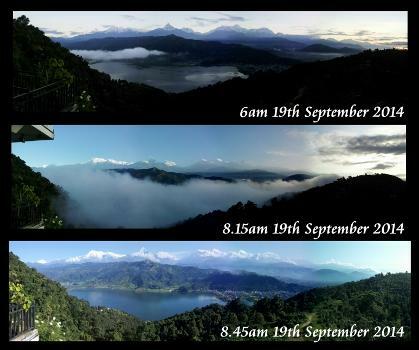 This short video was shot at 7am on February 9th, 2012. This video was compiled in 2015. The lodge took almost six years to build to a high standard and opened in 2010, so why not come along and spend a very special few days with us? Or just drop in for a meal or snack at our roof-top restaurant? Our cook is first rate, and everything is freshly cooked here. 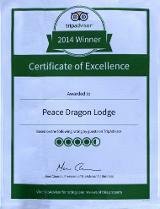 At Peace Dragon you will find the best food in the area, and at very reasonable prices. 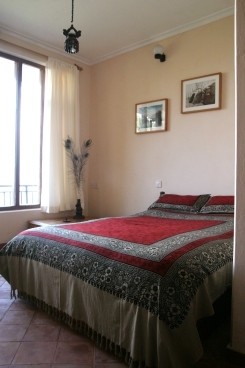 Our ten letting bedrooms are clean, tasteful and comfortable, each with its own shower room with water heated by solar energy. Free wireless internet connection, and back up power to charge your mobiles and laptops when Nepal's erratic power supply goes off.